[Short lines of Biography] Seiko Mikami: Artist : JAPAN. 2000�|Present time, Professor of Media Art Lab at Tama Art University. 2006-2007,University Sabbatical at Berlin Germany. 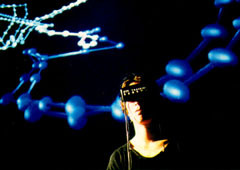 Most of works are interactive media art installations incorporating human perception, eye tracking project "molecular Informatics" at Canon ARTLAB (Tokyo 1996), About acoustic sense and the living body sound at NTT Intercommunication Center's permanent correction (Tokyo 1997), "gravicells" on the theme of the gravity called the 6th consciousness in Yamaguchi Center for Arts and Media (Japan 2004-) Corroborated with Sota Ichikawa. Seiko Mikami’s works were show at DEAF (Holland 1995,1996,2004), EXIT and VIA festival �iFrance1998,2005,2009, Miro Museum (Spain1999),Musee des Beaux Arts de Nantes (Nante France 2000), transmediale (Berlin Germany 2002,2005) , SHARE FESTIVAL (Torino, Italy 2005) ,Ars Electronica (Linz Austria 2050,2025), ICC (Tokyo Japan 2005, 2008-2009) , OOH Festival( Gijon Spain 2006), MoiMulti (Quebec Canada 2007). CanaryIslands,ELtanque (Spain 2007). "Desire of Codes" at Kulturhuset (Stockholm,Sweden 2006) ,TESLA Berlin and transmediale07 (Germany 2007), Velocity UK(2008): Solo Exhibition at YCAM/ Yamaguchi Center for Art and Media (JAPAN2010).Dortmund Center for Art and Creativity "TRUST" and "ISEA2010 RUHR(Garmany2010), Kuenstlerhaus Vienna "SPACE INVENTIONS" - on artificial spaces (Austria2010). National Art Museum of China/NAMOC "TransLife"(China 2011). EyeTracking Informatics(YCAM and ICC Japan 2011-2012),Daejeon Museum of Art&Seoul Museum of Art(Korea,2012), Lentos Museum(Austria 2012).Published "Seiko Mikami Art works" at Diputacion Provincial De Malaga, Spain (2004). The 16th Japan Media Arts Festival [Excellence Award] The National Art Center (Tokyo 2013). 2007: " Desire of Codes" at open studio2 at TESLA Berlin and transmediale.07- unfinish! 18 Jan to 3rd Feb.
2006: OOH Festival 2006 at Gijon Spain. 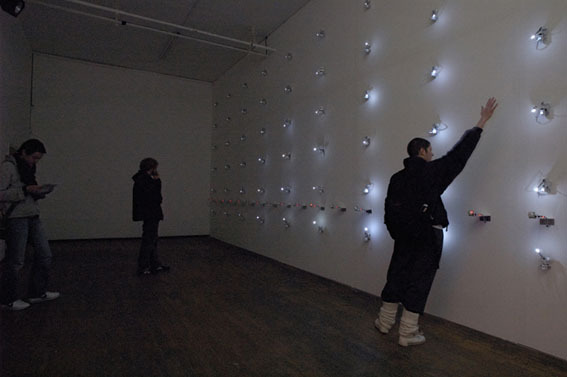 2005-2006: "desire of codes" Kulturhuset, Stockholm, Sweden, exhibition:"CONTENT�h. 2005: Japanese postwar art and technology. ICC/Intercommunication center, TOKYO. 2005: Ars Electoronica 05 Linz. Austria. 2005: "SHARE FESTIVAL�g international new media art festival. TORINO, ITARY. 2005: "BASIC�gtransmediale.05international media art festival BERLIN, GERMANY. 2004: "Affective Turbulence",DEAF04, Dutch Electronic Art Festival,Rotterdam, Holland. 2004: "Gravity and Resistance �uer2.0. YCAM/Yamaguchi Center for Arts and Media. 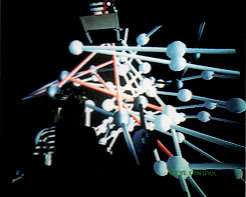 2003: "Gravity and Resistance �uer1.0�h NTT Inter Communication Center, Tokyo, JAPAN. 2002: "transmediale, International Media Art Festival Berlin", Berlin, GERMANY. 2001: "Insight Vision", Tama Art University Media Center, Tokyo, Japan. 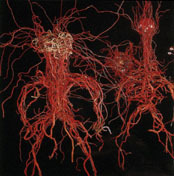 2000: "Vision Machine", Musee des Beaux Arts de Nantes, Nantes, FRANCE. 1999: "Singular Electric's" Fandacio Joan Miro, Centre d'Estudis d'Art Comtemporani, Miro Museum, Barcelona, SPAIN. 1998: "EXIT, festival international" Maison des Arts CRETEIL, France. : "via98, festival international" Le Manege / Maubeuge France. : "The Art of the Accident" DEAF98 Dutch Electronic Art Festival, V2_Organisatie, Rotterdam, Holland. Canon ARTLAB's sixth project at Hillside Plaza, Tokyo. 1996 : "Digital Territory�h DEAF96, Dutch Electronic Art Festival V2_Organisatie, Rotterdam, Holland. 1996: "Urban Structures" Kulturreferat Munich, Munich, Germany. 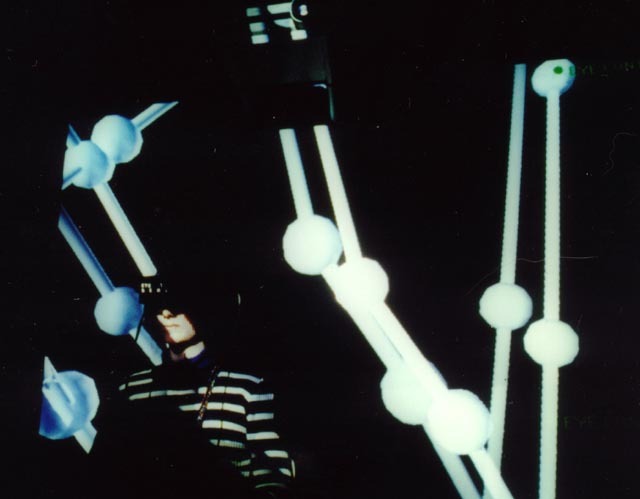 1995: "Molecular Clinic1.1", INTERNET Project, Tokyo. :"Art Labyrinth-A viewpoint to Japanese Contemporary Art", Okayama Perceptual Museum of Art. MAK- Austrian Museum of Applied Arts. :"After HIROSHIMA - Message from Contemporary Art", Hiroshima City Museum of Contemporary Art, Japan. :"IC'95 on the web", INTERNET Project,NTT pre Inter Communication Center, Tokyo, JAPAN. : �gInterfacing Realities "DEAF95 Dutch Electronic Art Festival, V2_Organisatie, Rotterdam, Holland. 1994:"Transfer" Galerie Hubert Winter, VIENNA. :"Natural unnatural" T'Z Art Gallery, New York. :"5 kind of Noise" UNITN Projecktraun, VIENNA. :�hICONOCLASM" Rontgen Kunst Institut, Tokyo. :"Breaching Containment" Gallery Three Zero, New York. :"Extracts" Islip Art Museum, NY State. 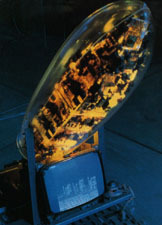 1992:"World Membrane 1", P3 art and environment, Tokyo. :"World Membrane 2", Art SPACE, SYDNEY. :"Art in the Anchorage 92" Creative Time, New York. :"Out of Town" Krannert Art Museum University of Illinois, U.S.A.
1990:"Information Weapons: Super Clean Room", Toyoko Earth Environment Lab, Japan. :"Media Bombs" Art Forum Yanaka, Tokyo. 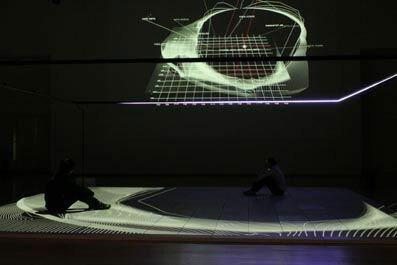 :"Pulse BEATS" P3 art and environment, Tokyo. 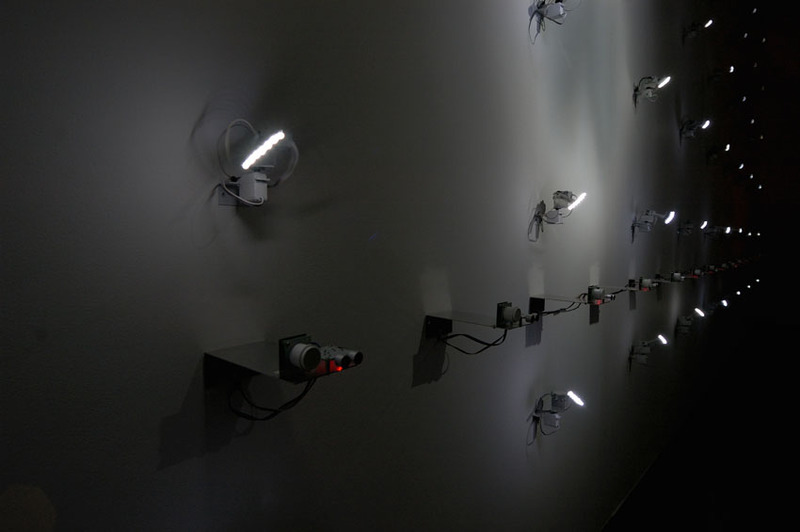 :"Techno-Metaphysics" Grace Borgenicht Gallery, New York. 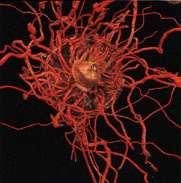 1986: "Cross Section of Cable Neuron System", Iikura Atlantic Underground Shelter, Tokyo. 1985:"New Formation of Decline", Former Beer Ebisu Factory Abandoned Lab, Tokyo. 1984: participated. In Num Jun Paik Performance�iGallery Watari�j,Tokyo.